Here are some photos from Stratford Central Secondary School‘s recent production of Mimi Lights the Candle, a Christmas play James Reaney wrote in 1943 when he was a student. On Christmas Eve, Laura, Mimi’s long-absent mother, returns home. but I managed to pay my fare here. And then Mimi’s candle drew me. 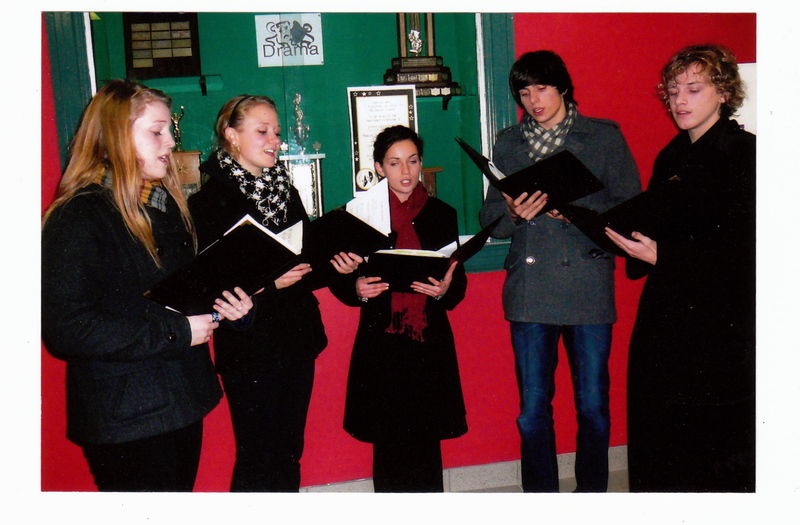 November 26, 2010: Stratford Central Secondary School students in a scene from Mimi Lights the Candle. Photo by Wilma McCaig. 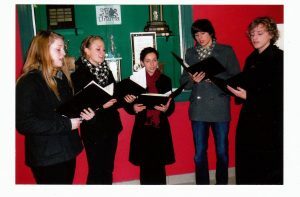 November 26, 2010: Carollers from Mimi Lights the Candle, Stratford Central Secondary School. Photo by Wilma McCaig.